Pale straw; terrific intro of lime marmalade, asparagus, bees wax and merest hint of lemon blossom. 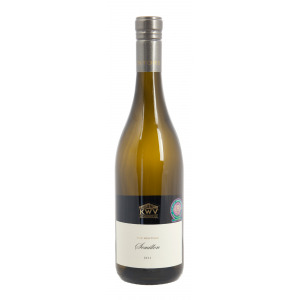 Properly dry with white asparagus, lemon and riper tropical notes of pineapple and paw-paw. Creamy finish. Roast duck breasts with caramelised apples, or lamb sosaties with dried apricots, or baked ham with a pineapple glaze.